Anna Jones* was terrified of her child’s father, Garrett Lewis. * Over the years, when he got angry, he would hit, scratch, and even choke her. The violence continued during Ms. Jones’ pregnancy. Ms. Jones finally summoned up the courage to escape with their one-year-old daughter but lived in fear that Mr. Lewis would find them. Her fear was justified. One day she arrived at her parents’ home in Virginia to find Mr. Lewis waiting outside. He grabbed her arm and threatened her. That was when Ms. Jones decided to seek protection from the courts. Ms. Jones went to a Domestic Violence Intake Center and met with Legal Aid family law attorney Jamie Sparano. Ms. Jones filed for a Civil Protection Order (CPO). Mr. Lewis consented to the CPO, but surprised Ms. Jones by serving her with a complaint for custody of Emma. A year later, the custody case was ongoing, and Ms. Jones asked for an extension of the CPO. A trial ensued. Ms. Jones and another of Mr. Lewis’ ex-girlfriends testified at trial about the abuse they suffered at his hands. And Mr. Lewis’ aggression was on full display in the courtroom—once, he even shoved Jamie during a break. As the custody case moved forward, Mr. Lewis made an offer: he would drop his request for custody if Ms. Jones would agree not to seek child support. While this is not entirely fair, Ms. Jones was nevertheless thrilled. 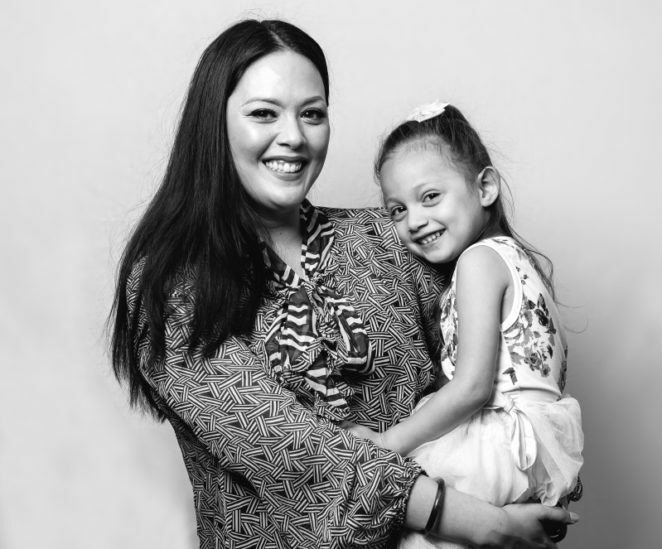 She secured a well-paying job (using the degree she earned after she escaped Mr. Lewis’ abuse) and is gladly bearing the financial burden of raising her daughter knowing that she is keeping her safe.